As you have seen from our most recent themed recipes, summer is the time for big blockbuster films. 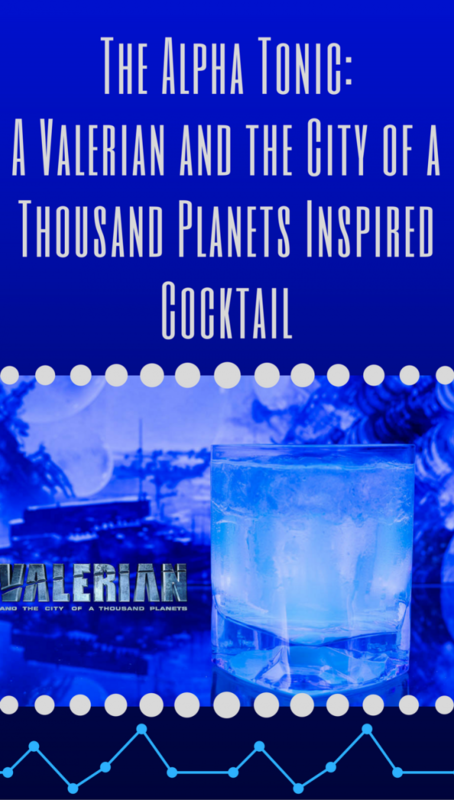 One of the most highly anticipated movies of the summer is Valerian and the City of a Thousand Planets. For a movie with this much excitement, we knew we wanted to do something special. 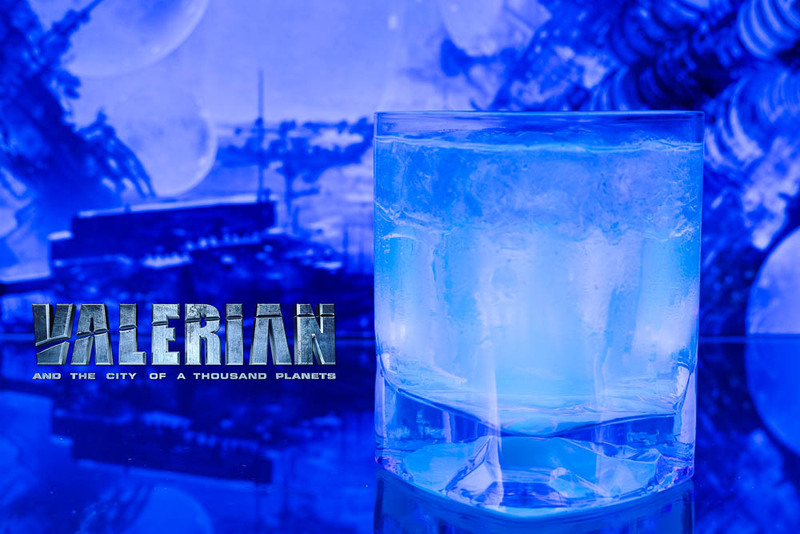 Therefore, we created The Alpha Tonic, a cocktail that glows under a black light! After watching the trailer for Valerian and the City of a Thousand Planets we were struck by the beautiful visuals. It was then that we decided to create a recipe that glowed! We looked around for the various ways to achieve this. After much research we came to the conclusion that a cocktail with tonic water would be the most striking and would taste the best. 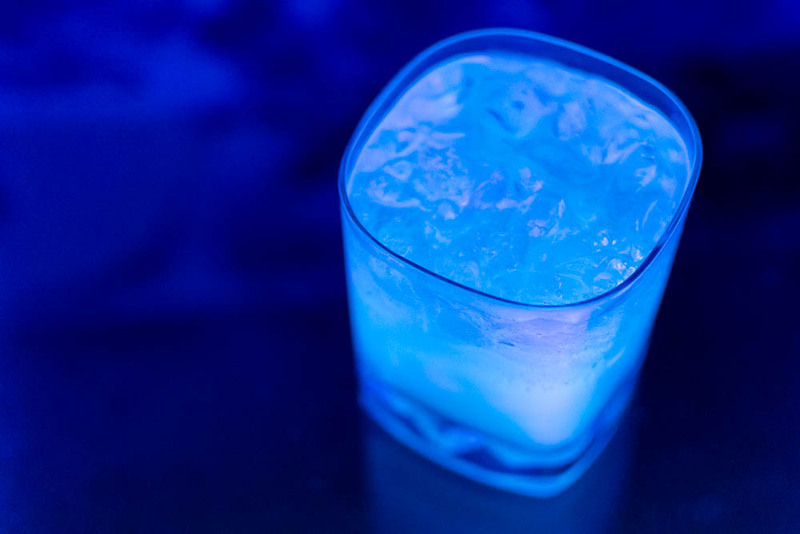 The quinine in the tonic water reacts with the black light and creates a beautiful blue color. Perfectly reminiscent of the scenery in the movie. Here is the fun part! 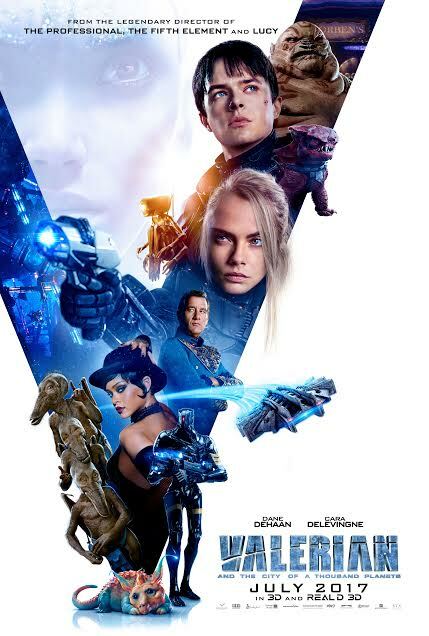 We are giving away three Family Four-Packs of advanced screening tickets for a sneak preview of Valerian and the City of a Thousand Planets! One of the three winners will also win a prize pack loaded with swag! The showing will be held at Harkins Tempe Marketplace on Tuesday, July 18. The screening starts at 7 pm and the winners should arrive at 6:20 in order to guarantee their seating. Winners will be selected on Monday, July 17th. Good luck! Stir in a cocktail mixing glass with ice. Strain and pour over ice. *The Geeks received no compensation to facilitate this write-up; opinions are wholly our own. Screening tickets provided by Allied Marketing. View our Disclosure Policy for more info. Ok hubby would love this movie, that is right up his alley. As for the drink, I love it. The colour is amazing and fun, and would be perfect for entertaining in the backyard too. This cocktail goes spot on with the movie! They should serve this instead of coke at the cinema. I love Luc Besson’s movies, he’s my favorite for science fiction movies and this one looks even more stunning than his last movies. The visual effect are just perfection! Hopeful the plot of the movie is good too. Going to the cinema as soon as it comes here! How clever, I love your cocktail ideas ! Tonic water is one of my favourite mixers and who would know the quinnine reacts with the black light? Now this is one cool cocktail! This is such an absolutely fun, little cocktail. I think it would also make for a fun little sip for Halloween parties too. P.S. I had no idea that tonic water glowed under black light. This is so cool. Love the idea of a glowing cocktail, I would also love to try the virgin version :). Tonic glows under black light? Who knew? And how cool… The curacao is just the right look with it… and sounds delicious! Oh now that is a creative cocktail. The lemon bitters must give it quite a punch. Sounds delicious! I love fun drinks like these! I gotta check out this movie too, I’ve heard a lot of good things about it! What a fun and pretty drink! I’ll have to make these on a nice hot summer day – which is pretty much every day until October here in Georgia. This mysteriously looking photos make me want to try your cocktail! Want to check the movie too!